Heralded for his “impressive and stylistically Scottish playing” (Melinda Crawford) and as “a real fiddler” (Bonnie Rideout), Tim Macdonald is a regular performer, composer, and teacher of Scottish-Baroque music. 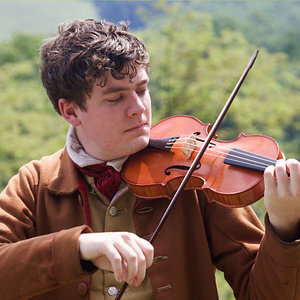 The reigning US National Scottish Fiddling Champion (and the first to win the title on a Baroque violin), Tim has performed with Rachel Barton Pine, Colyn Fischer, and John Turner, among others. He made his New York debut in a sold-out performance at the Frick Collection as a guest soloist with Trio Settecento, and he has also appeared with the Trio on WQXR classical radio. A scholar as well as a player, Tim is an Arthur and Lila Weinberg Fellow at the Newberry Library, where he will be researching the period-correct performance of Scottish-Baroque music. He also plays the viola d’amore, harpsichord, and concertina, is a software engineer, and recently ran the Chicago Marathon for charity.